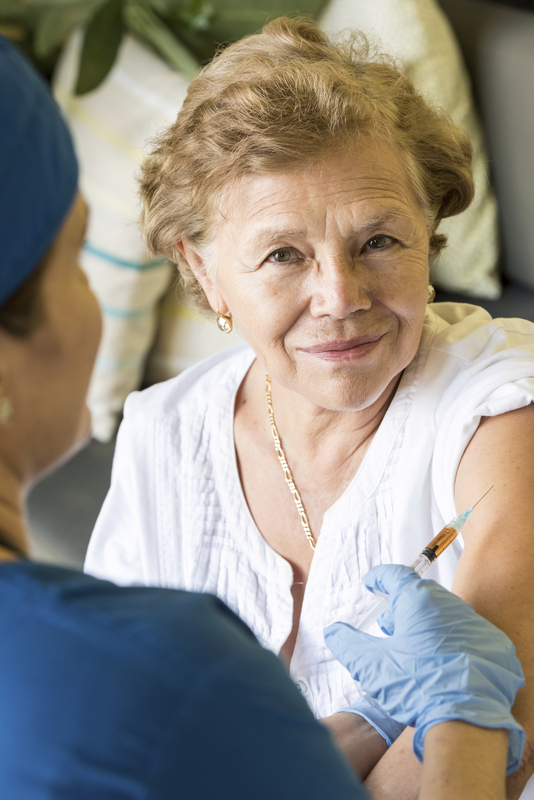 Do Seniors REALLY Need Vaccinations? Our Home Care Company Has the Answer! For protection of loved ones. In particular, babies under 6 months of age, who are too young to be immunized against illnesses such as whooping cough and the flu, are susceptible to contracting the diseases from family members who aren’t up to date on vaccines. For travel safety. If one of a senior’s bucket list items includes visiting a foreign country, a whole new world of sicknesses that are uncommon in the U.S. could suddenly become a threat. Traveling to parts of Africa or South America requires a vaccination for yellow fever, for instance. For age-specific illnesses. Certain diseases, such as shingles, are most prevalent in older adults, which is why the vaccine is recommended for those over age 60. For other chronic disease issues. Those with conditions such as diabetes, heart disease, lung disease, or asthma, as well as smokers, are at a heightened risk for pneumonia, and are especially urged to receive the pneumococcal vaccine. For prevention of “children’s” diseases. Many older adults grew up without the laser focus on vaccinations that we have today, and as a result, missed out on immunizations for measles, mumps, rubella, and chickenpox. If so, it’s never too late to protect against these preventable illnesses. To make it even easier to determine which vaccines your senior loved ones may need, the Centers for Disease Control and Prevention (CDC) provides simple immunization schedule charts, as well as an online adult vaccine quiz. And, of course, always consult with the physician for confirmation on which vaccinations he or she recommends. Hired Hands Homecare can help provide the encouragement seniors may need to make sure they’re fully up to date on all vaccinations recommended by their physician. We even provide transportation services to accompany seniors to get their shots, can stop to pick up prescriptions if needed, and can stay with seniors in the hours following their immunizations to keep an eye out for any side effects or reactions. Contact our home care company any time at 866-940-4343 to learn more about how our in-home senior care services in Marin, Sonoma, Napa counties and the Tri-Valley area can keep your senior loved one safe and well.